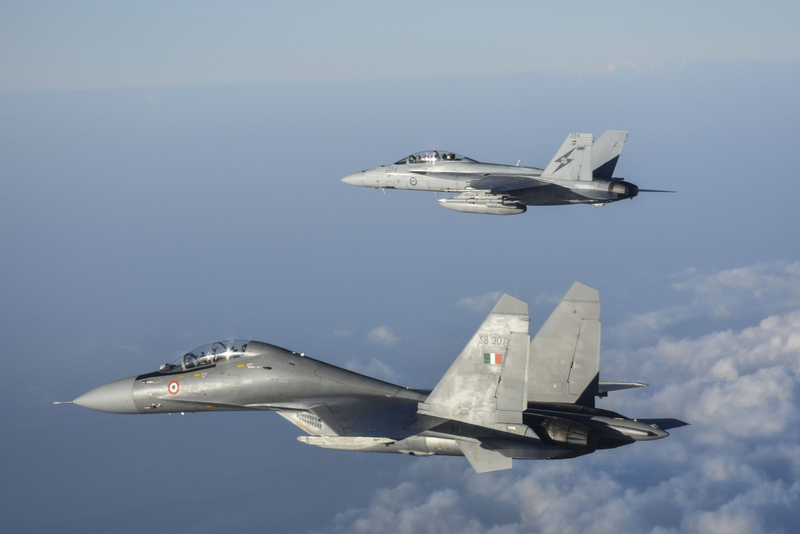 With the number of the Indian Air Force’s fighter squadrons expected to decrease quickly from the present 31 as the current fleet ages, there has been a decisive endeavor to accelerate the recapitalization of the fighter fleet. The majority of the new fighters are to bear the “Make in India” label. By 2032, the Indian Air Force plans to have at least 18 squadrons of Indian-made fighters, said the Deputy Chief of Air Staff, Air Marshal R. Nambiar, at a conference held in Delhi this month. With the India-Russia fifth-﻿generation fighter aircraft (FGFA) project showing little signs of moving ahead, it is the twin-engine, stealthy Advanced Medium Combat Aircraft (AMCA) program that the Indian A﻿ir F﻿orce is now looking at “as a replacement for the Sukhoi Su-30s, which will start showing their age by then,” noted Nambier. He said that the air force “has put its money where its mouth is” and has already released a facility in Coimbatore in South India to the Defence Research Development Organisation to start work on two AMCA technology demonstrators. In the meantime, the Minister of Defense, Nirmala Sitharaman, confirmed to Parliament the feasibility study for the development of AMCA had already been completed. As the first of 36 Rafales are delivered from September next year until 2022, an official indicated that Dassault Aviation could likely be given an additional order in later years, as they would most likely be cheaper. With two squadrons established at different bases in India, and able to absorb additional aircraft, there would be no further need to equip additional bases with the necessary tooling and equipment. Regarding the Request for Information released for 114 multi-role combat aircraft (MRCA), with a Request for Proposal that will be issued late next year at the earliest and implemented after three to four years, there is cynicism among many OEMs who feel that this, too, might experience the fate of the earlier MRCA that was canceled by the previous government. Additionally, 85 percent of the MRCA project has to be “Made in India” by a Strategic Partner (SP)/Indian Production Agency. While it has a straightforward intent, the perplexing SP model is slow with decision-making and the final draft has yet to be implemented, leaving future vendors in a state of uncertainty.